As the year comes to a close I thought I’d do my Best Nine of 2016 like I did last year (you can see post 1, post 2 and post 3 from last year). These were my top nine most liked posts on Instagram. This was meant to be a gift for my BFF Jess and somehow my gauge was completely off and I ended up with an awesome cardigan. Don’t worry, Jess got her own awesome sweater eventually so I don’t feel guilty that I love this one so much. 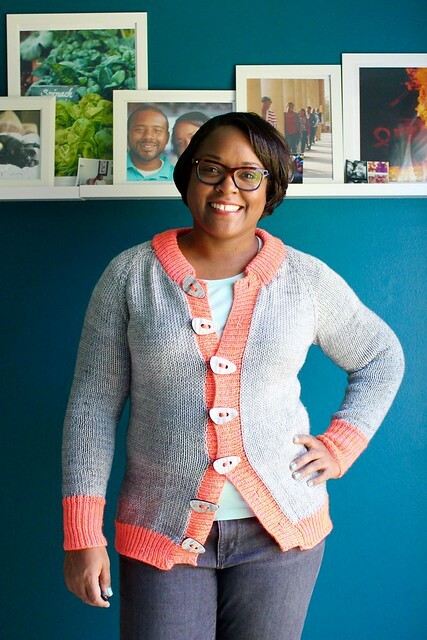 Plus the grey and neon peach just work together to perfection. This is worn a lot. 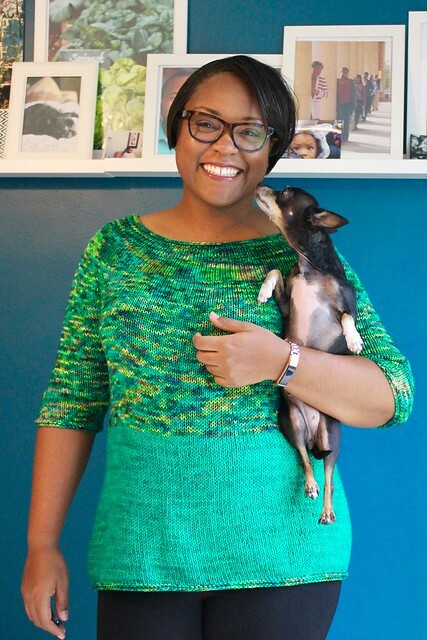 Small hand knits + small dog = perfection in my book. 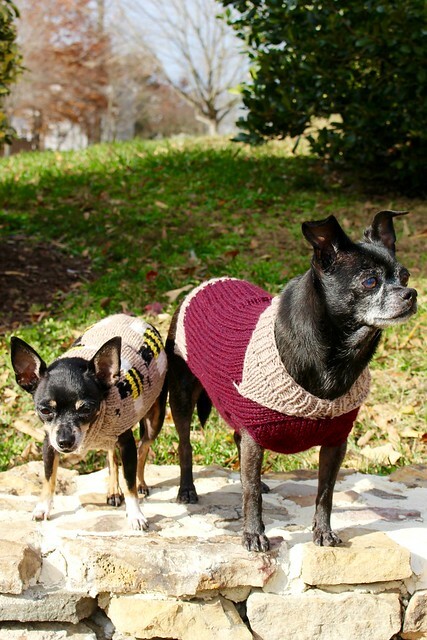 I love Cher in a sweater, it makes her look like a stylin’ old lady and it tickles me so much. Now I just need to make one for Jelly. Going without a pattern, just notes and finally using a perfect green yarn I’ve had in my stash made this project a favorite of mine. 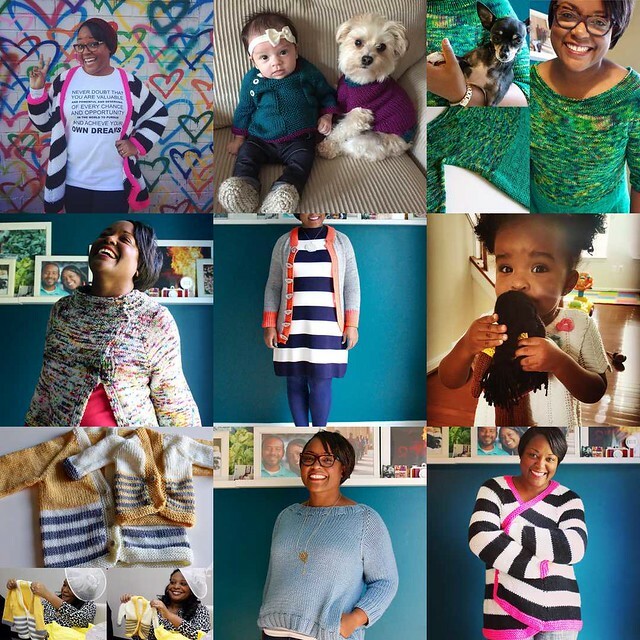 When I went through what I knit this year a lot of it was in the green family. I realize when it’s a gorgeous green I’m happy to knit it. These two yarns were absolute color perfection. Okay, these were numbers 9, 8 and 7…what do you think 6, 5 and 4 will be? Any guesses? Hmmmm you’ll have to wait and see on Wednesday! I’m currently on sweater 25 for the year. I’ve knit a lot.